If your tooth has broken or you have developed a cavity due to decay, our dentists will use a dental crown to strengthen and protect your enamel from any further damage. A crown is a ‘cap’ for a damaged tooth and is cemented on top of the natural tooth. Depending on the extent of damage, a crown can cover the entire visible part of the tooth above the gum line. Often a crown will be recommended by your dentist when a tooth needs slightly more protection than a filling can offer. 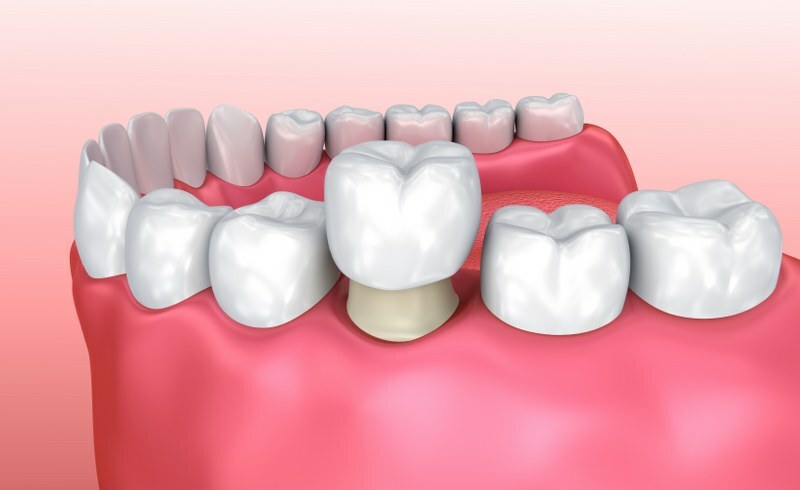 In addition, crowns are used to support a dental bridge and hold it into place. At Derwent Street Dental Practice, we offer crowns made from metal, porcelain or a combination of the two. The material of your crown depends on your dentist’s recommendation, where in the mouth it will be fitted, and cost. We may recommend a crown if a dental x-ray reveals your tooth needs additional support. The affected tooth will be prepared for treatment and we will then take impressions of your teeth so that crown of the right size and shape can be made for you. At your next visit, the crown will be cemented onto the affected tooth.